Where else can you get margaritas for $1 or a pitcher of them for $5? For Real? This deal was so good we couldn't believe it. Two entrees and a bottle of either pinot grigio or Cabernet Savignon for $23.99 at Sea Horse Restaurant in Noank. Don't want the wine? You'll pay just $14 for the two entrees. That's the economy for ya. The Party:The XL Center (or Civic Center to some of you) in Hartford has turned one of the empty interior storefronts next to the Wolf Pack store into the Hoopla Hangout tonight. The idea is to stuff your face while the 2009 Big East Women' Basketball Tournament is going on. We're talking food galore, live acoustic music and board games. They'll also have a street fair outside. Good stuff. 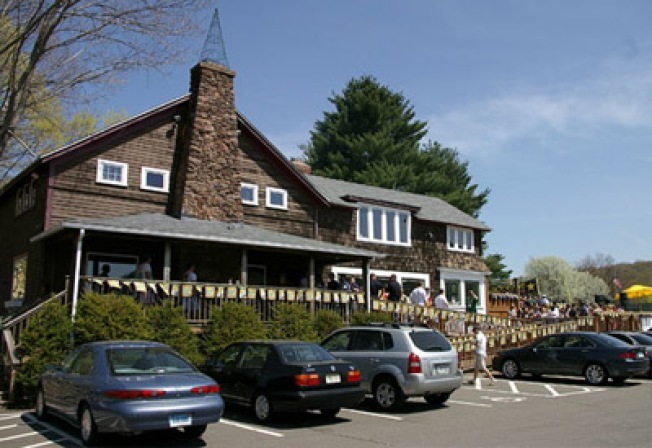 Mexican Monday: Head over the Aunt Chilada's in Hamden for some of the tastiest Mexican food in the state. The best part? $1 off Margaritas and $5 off pitchers of them. Oh yeah, and cute Quinnipiac students to boot.